The mood is festive as students shuffle onto the bleachers next to the Saturn V building at the NASA Kennedy Space Center Visitor Complex. They have had a busy day exploring exhibits and explaining their science projects to visitors during a stage presentation and a poster session. The jitters from public speaking have passed, but the students still feel a bit nervous as they take their seats at the launch viewing area. The SpaceX Falcon 9 rocket is expertly engineered and thoroughly tested, but there’s still a small chance it could fail. One group of students on these bleachers had to re-build an experiment after the rocket carrying their original one exploded two minutes into flight. Four miles away, the rocket bearing the Dragon capsule is barely visible. It looks tiny,but the students know it holds thousands of pounds of supplies and science experiments—including their own payloads! This scene describes the launch of SpaceX CRS-11 last June, which carried 24 student experiments to the ISS National Lab. These experiments were supported by DreamUp, an educational spinoff company from commercial services provider NanoRacks. 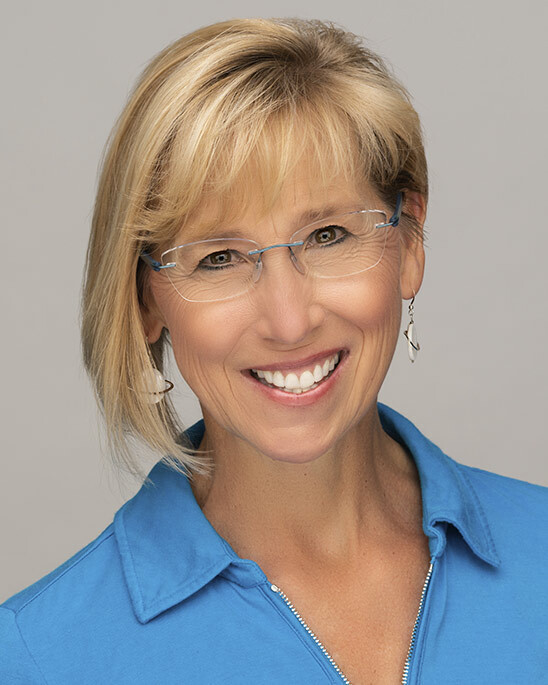 DreamUp co-founder and CEO Carie Lemack has shared the students’ exhilaration at this and many other launches. The upcoming SpaceX CRS-15 mission will carry 40 DreamUp-supported experiments to the space station. DreamUp uses the wonder of spaceflight to ignite young people’s interest in science, technology, engineering, and mathematics (STEM). Through competitions, flight opportunities, and curricular support materials, the company empowers educators and students to use space to enhance education. However, DreamUp’s mission extends beyond the classroom. “Ultimately, we look at our organization as focusing on workforce development,” said Lemack. Participating in authentic space-based research helps inspire students to become scientists, engineers, and innovators who will thrive in the globalized, technology-driven 21st century. DreamUp is a partner in the Space Station Explorers Consortium, a growing community of partner organizations managed by CASIS that aims to engage learners in meaningful STEM education experiences centered on the ISS National Lab. DreamUp provides multiple pathways for students in elementary school through college to design and launch experiments to the space station. For example, some initiatives challenge students to create their own experimental apparatus for use on the ISS. Such projects showcase students’ inventiveness and perseverance. More than 85,000 students have participated in such initiatives, spending hundreds of hours inside and outside of class. The students and their teachers and mentors agree that these intensive engineering-focused projects are worth the work. The many rewards include new skills, career connections, and strong friendships with their teammates—not to mention the chance to see the fruits of their labors soar into space! But building and flying a custom-designed apparatus can be expensive and time-consuming, which can put these projects out of reach for some communities. Students from iLEAD Lancaster present their microgravity research proposal for the iLEAD Space and Innovation Expo, 2018. 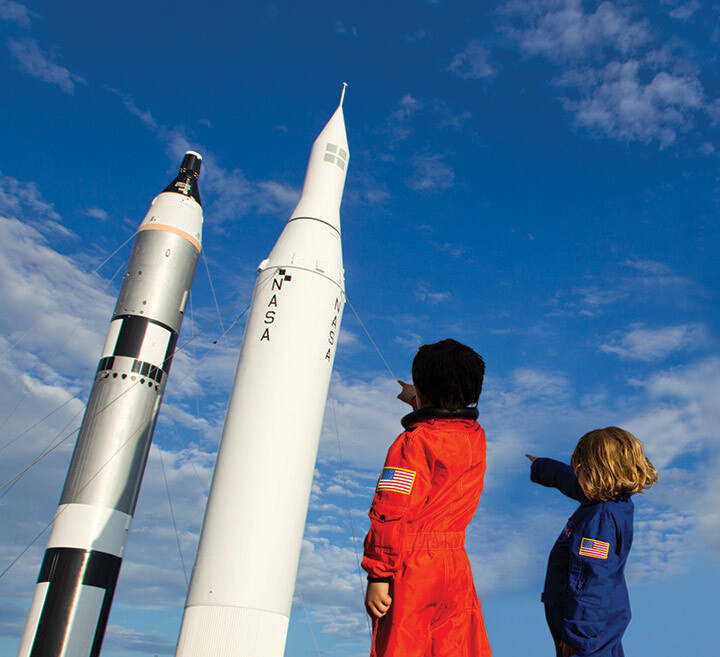 For example, since 2010, DreamUp has partnered with the Student Spaceflight Experiments Program (SSEP), run by the National Center for Earth and Space Science Education, as one path to accomplish this goal. Through SSEP, instead of building custom hardware, students design experiments using well-established modular hardware and write research proposals describing their idea. 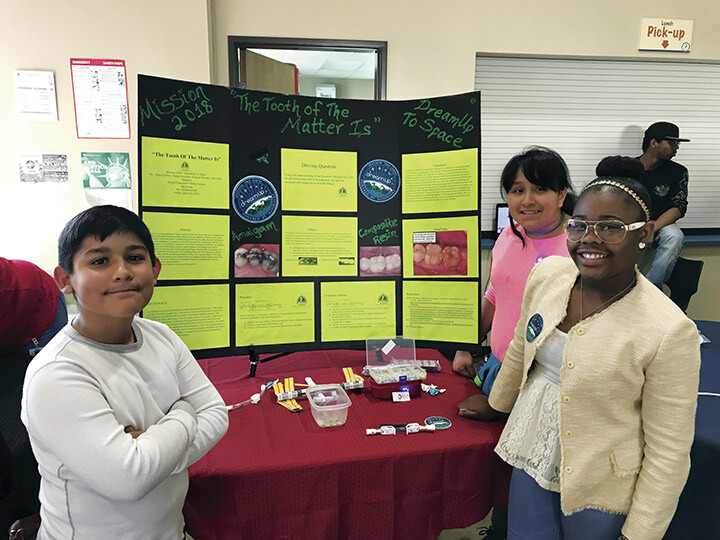 SSEP has engaged more than 82,000 American students in community-scale competitions—and each year, one proposal from each participating SSEP community is selected for development into an ISS flight project. In another partnership to inspire tomorrow’s innovators, DreamUp collaborated with a program called Überflieger, in which university teams across Germany competed for the opportunity to launch an experiment to space. After an initial down-selection process, eight university teams from all over Germany qualified for the final selection round of the competition. During a two-day selection workshop, students presented their experiment proposals and took questions from an expert board of evaluators. 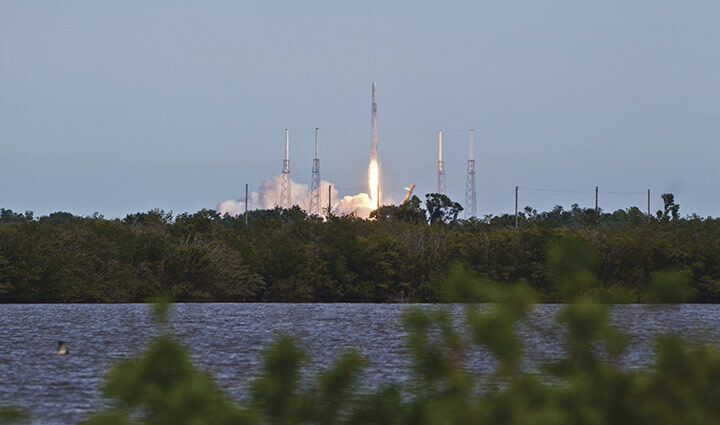 The three teams selected are investigating questions such as how planets form and how propulsion technology works in microgravity—with two of these projects launching on SpaceX CRS-15! Even more recently, DreamUp worked together with CASIS, who partnered with Marvel Entertainment for a challenge inviting students ages 13 through 18 to propose experiments to be conducted onboard the ISS National Lab. 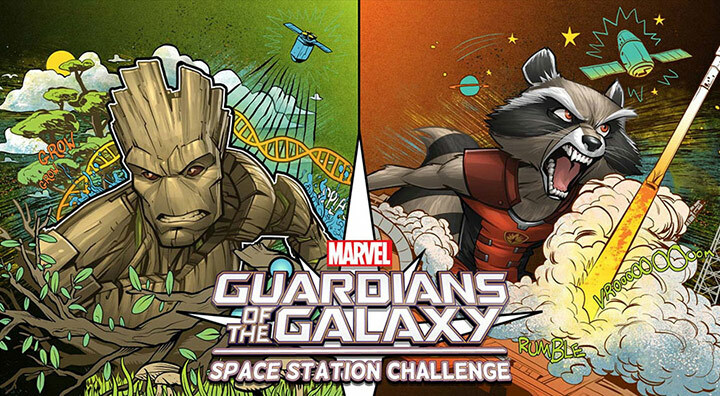 The contest focused on Rocket and Groot, characters from the Guardians of the Galaxy comic book franchise. Students were encouraged to develop innovative concepts to be tested in space based on the attributes of these superheroes. The two selected flight concepts will become official ISS investigations, intending to launch to the space station in 2018. As part of the “Guardians of the Galaxy Space Station Challenge,” students with an interest in technology and engineering were encouraged to submit flight concepts through Team Rocket—a superhero with strong ties to technological innovation and engineering. Students interested in fundamental biological concepts were encouraged to submit flight proposals under Team Groot—a member of the Guardians of the Galaxy who is the embodiment of genetics and plant biology. 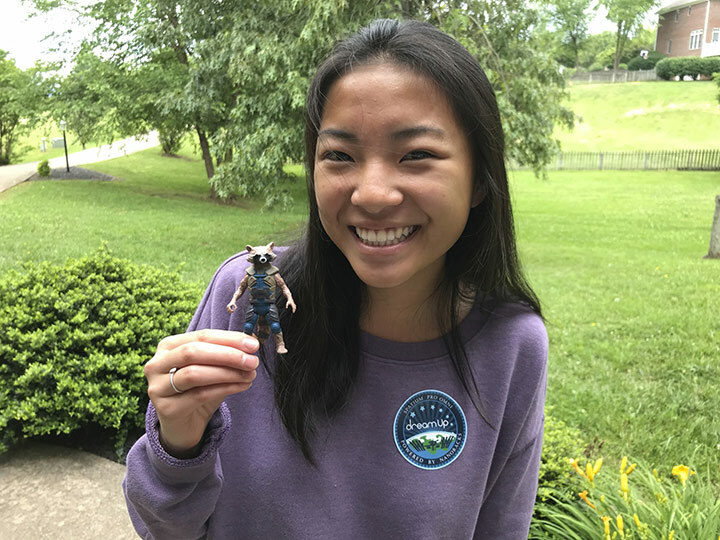 Adia Bulawa holds Rocket, the Guardians of the Galaxy Character that inspired her winning idea to test a UV-activated dental glue on the ISS. The winning students from Team Rocket will work alongside DreamUp (with team member NanoRacks) to help transform their ideas into research questions to be tested on the ISS National Lab. In the coming months, students will work with these commercial partners and be exposed to space station facilities, hardware development, and the engineering required to ensure successful projects on the orbiting laboratory. Through its programs and partnerships with a variety of organizations such as SSEP, Überflieger, NASA HUNCH (High schools United with NASA to Create Hardware), Uniphi Space Agency, and dozens of schools and universities around the world, DreamUp has sent more than 400 student research payloads to the ISS National Lab. Moreover, today DreamUp is PAYLOADS expanding its reach through new approaches. For example, the team has expanded its professional development offerings for educators. 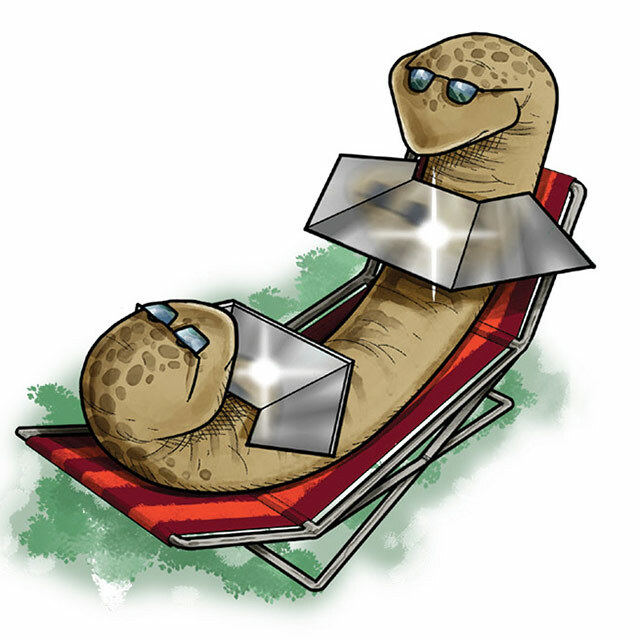 The team is also planning to release a set of new educational kits in late 2018. The kits enable students to replicate specific experiments that have previously been performed on the ISS. 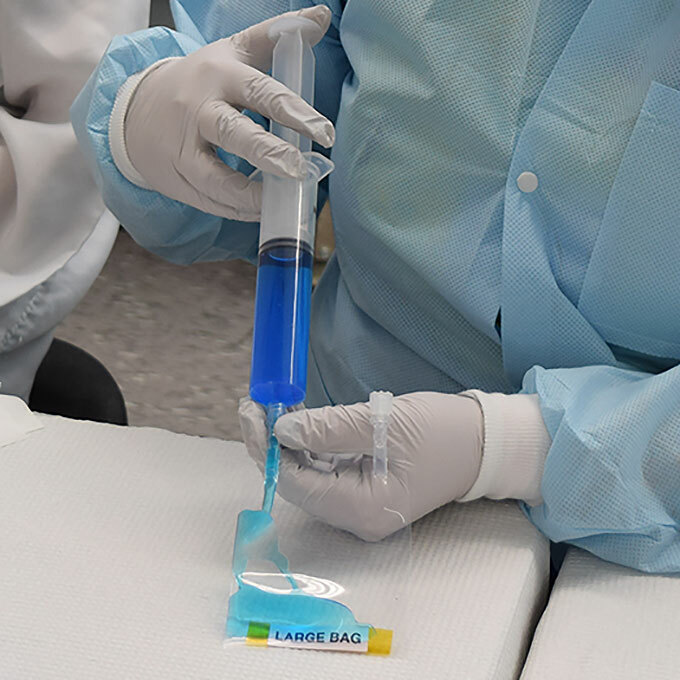 Each low-cost kit includes materials for student investigators and access to an online portal that lets students compare their results with the original space-based experiment. 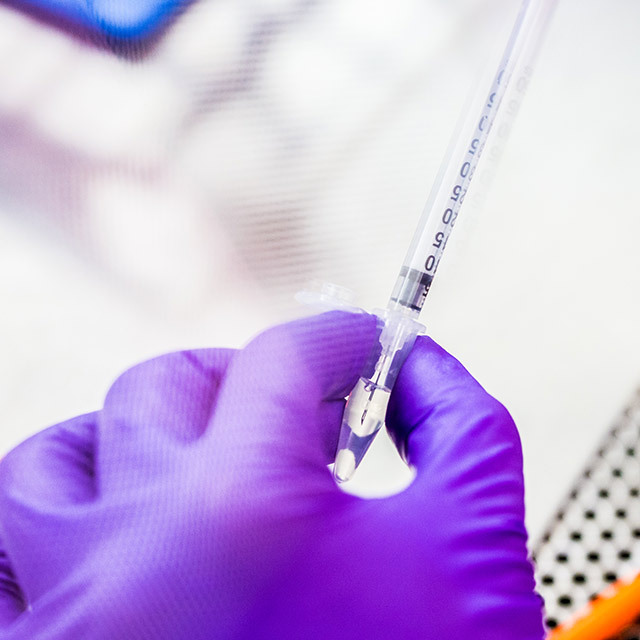 Two kits currently in production will engage students in ground-based versions of experiments that grow sugar crystals and culture microbes. These kits bring real ISS research into the classroom in a way that is authentic yet affordable—and unlike flight projects, the kits do not require out-of-school time. The activities are brief, self-contained, and will align with Next Generation Science Standards, making them easy to integrate into existing lesson plans. 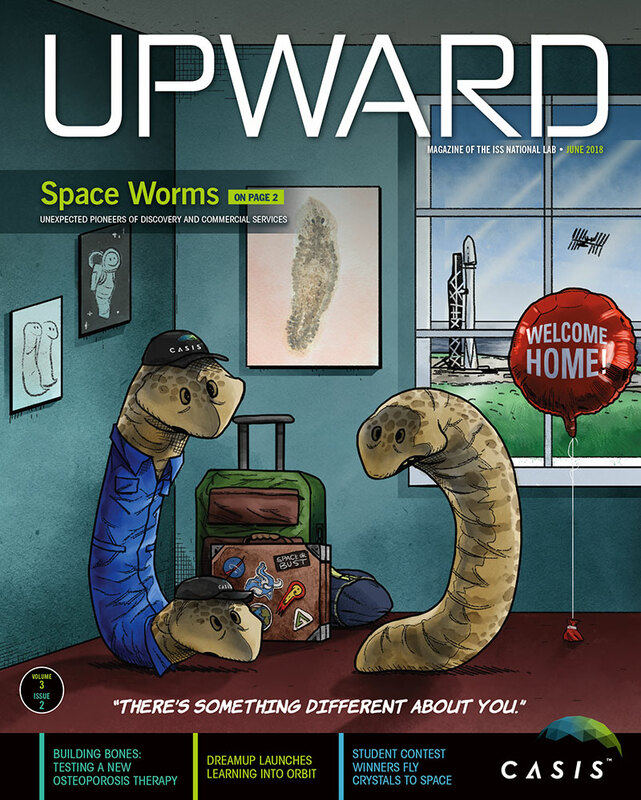 DreamUp also has free curricular support materials on its website to further engage educators and reach more students with the excitement of science in space. 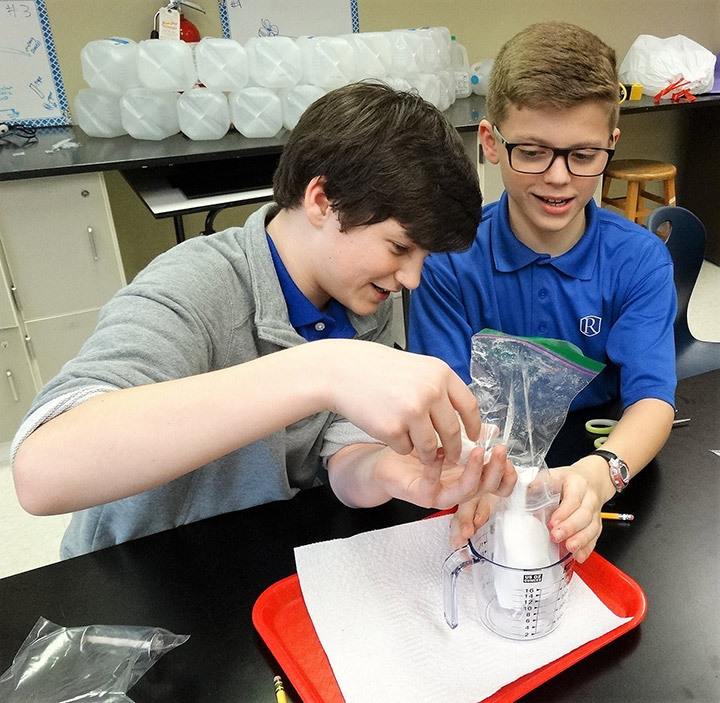 Randolph Middle School Science Club students in Huntsville, Alabama, test a prototype of DreamUp’s educational kits. Another new program is a U.S. extension of an existing partnership with the Australian startup Cuberider. DreamUp has a programmable experiment unit on the ISS with data loggers, cameras, and sensors to monitor acceleration, radiation, and other aspects of the environment. Students learn simple programming and design experiments for the automated unit to perform. The students’ code is uploaded, and the flight unit carries out the experiment, sending data to the classroom in near-real time. Students pose research questions, analyze data, and communicate results to their peers and community. DreamUp is preparing to bring an 8- to 12-week version of this program to American students in fall 2018. Standards-aligned curricular support materials will introduce engineering design practices and rudimentary coding in Python. This program will be affordable and accessible to educators in many settings, because uploading code to the ISS is much faster and cheaper than launching hardware on a rocket. Inspired youth stand in Kennedy Space Center's rocket garden on SpaceX CRS-14 launch day. DreamUp’s efforts to expand its reach through these and other new pathways of engagement are helping maximize use of the ISS for innovation and educational outreach. Opportunities to do classroom versions of ISS experiments and program computer code for upload to the ISS National Lab are cost-effective, fun, and effective in cultivating STEM literacy. Moreover, DreamUp continues to reimagine ways to make their space-based student research programs even more accessible. After all, it’s hard to match the excitement of watching one’s own experiment launch into space. 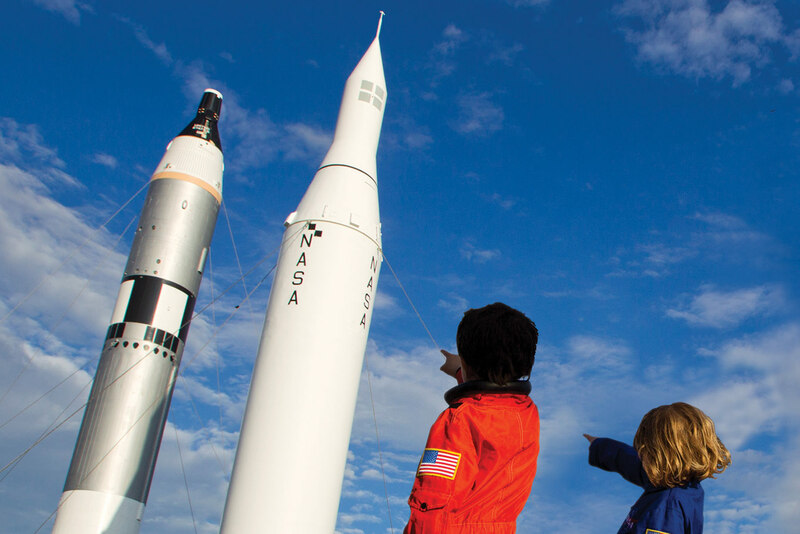 The lasting impact of programs like these inspire students long after their experiments are complete, helping our next generation of leaders envision themselves in STEM careers and continue to reach for the stars. Chicagoland Boy Scouts and high schoolers Connor Gregg and Merrick Jakelski competed in the National Design Challenge with support from CASIS. 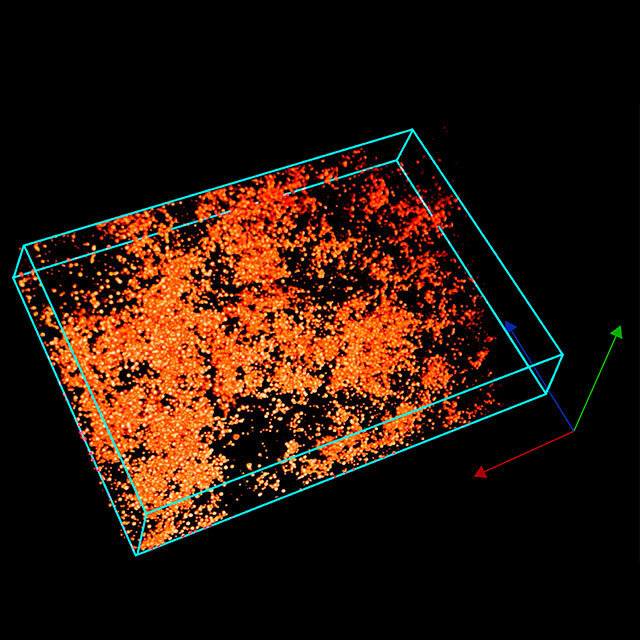 For their experiment on the folding of proteins related to Alzheimer’s disease, they built a miniaturized fluorescence spectrometer with 3D-printed parts of their own design! Gregg and Jakelski were thrilled to see their project launch to the ISS on the SpaceX CRS-14 resupply mission after two and a half years of work. The experience strengthened their interest in pursuing science and engineering after high school. Jakelski hopes to study electrical engineering or robotics at Purdue University. Gregg is interested in engineering and entrepreneurship and is considering Georgetown University or the U.S. Military Academy. 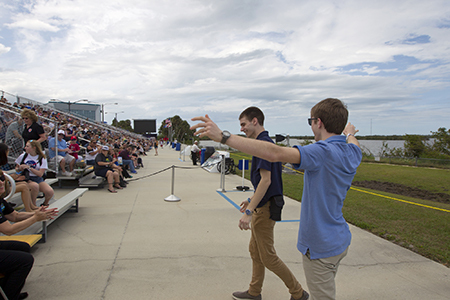 High schoolers Connor Gregg and Merrick Jakelski attend the SpaceX CRS-14 launch. The winners for Team Groot, led by Sarina Kopf of Golden, Colorado, for a project titled “Aeroponic Farming in Microgravity,”will work alongside hardware partner Space Tango, Inc. However, this student team is familiar with DreamUp, having worked together on a plant biology project through NASA’s HUNCH program that recently evolved into a patent application! “It’s the first students we’re aware of that have a patent application resulting from their ISS work,” said Lemack. Education Association suggests that the four most important 21st century skills—known as the “Four Cs”—are critical thinking, communication, collaboration, and creativity. All of these skills are practiced as part of DreamUp programs. communication, which are vital in the workforce yet sometimes underemphasized in traditional classroom activities. Through nine weeks of intense teamwork developing a research proposal (just like professional researchers! ), the team’s communication skills were put to the test. Before this project, the students had never even seen—let alone written—a document in this style. “It was a real challenge for them to get a feel for professional scientific writing: how it looks and how it sounds,” said Whipple. learned across all these areas—combining science, math, and language arts to write this proposal.” This early engagement in cross-disciplinary thinking will give these students an advantage as they progress through their academic and professional lives.